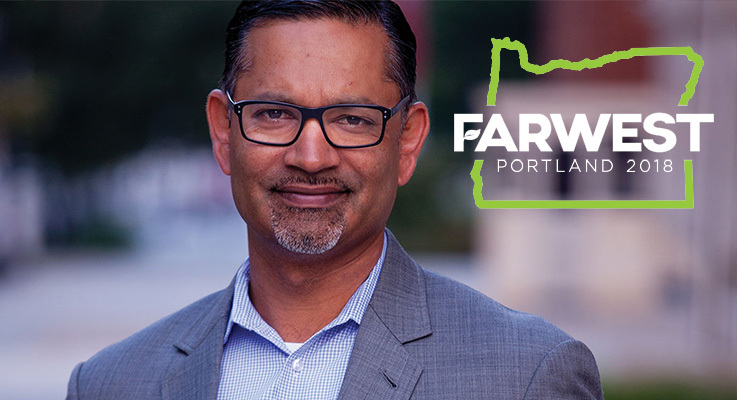 At the 2018 Farwest Show, August 22-24, in Portland, Oregon, Ali Noorani, executive director of the National Immigration Forum, will deliver the keynote address on one of the most explosive issues for agriculture and the country — immigration. Noorani’s speech, “Leading the Way: A New Approach to American Immigration,” opens the show on Wednesday, August 22. He will shed light on the connections of immigration to the economy and the political and cultural contexts of today’s immigration debate. This year’s keynote address is sponsored by Greenhouse Grower magazine. As executive director of the National Immigration Forum (NIF), Noorani is one of the nation’s leading voices on immigrants and immigration. His vision is finding a new consensus on immigration that will strengthen communities and help new Americans attain the opportunities, skills and status to reach their fullest potential. Noorani and the organization bring together conservative and moderate perspectives from faith, law enforcement, and business leaders across the country. On Capitol Hill, the organization advocates for broad immigration solutions that keep the nation secure, respect the rule of law, help grow the economy and are compassionate. Growing up in California as the son of Pakistani immigrants, Noorani learned how to forge alliances among people of wide-ranging backgrounds, a skill that has served him well as one of the nation’s most innovative coalition builders. Before joining the NIF, Ali was executive director of the Massachusetts Immigrant and Refugee Advocacy Coalition, and he has served in leadership roles within public health and environmental organizations. In 2015, Ali was named a lifetime member of the Council on Foreign Relations. He holds a master’s degree in public health from Boston University and is a graduate of the University of California, Berkeley. Noorani lives in Washington, D.C. and is the author of “There Goes the Neighborhood: How Communities Overcome Prejudice and Meet the Challenge of American Immigration,” (Prometheus, April 2017). He also serves as host of the “Only in America” podcast. Noorani’s keynote will be delivered on Wednesday, August 22, 11 a.m. to noon, in Room A105 at the Oregon Convention Center. His speech will be free to all attendees and exhibitors. Complete details and Farwest registration are found at www.FarwestShow.com.